Some days you just feel like soup. Nothing else. Soup. Maybe a Sandwich because you need to feed the minions a little more than soup or you can’t guarantee they will like the soup you made. But mostly soup. I made this soup and it rocked our world. Well the grown ups. Easy Peasy as Jamie Oliver would say. Make it entirely vegan by replacing the chicken stock with vegetable stock and omitting the butter. Easy, quick and currently our favourite comfort soup. In a large pot over medium heat melt your butter and olive oil. Add carrots and potatoes. Cook for 5 minutes then add your shallots. Saute for another 10 minutes turning heat down as necessary. Stir in coriander, cumin, ginger, salt and pepper. Cook another couple of minutes. Add broth and stir to combine. Bring to a boil, stir and reduce heat to simmer. Cook 20 - 30 minutes or until vegetables are soft. 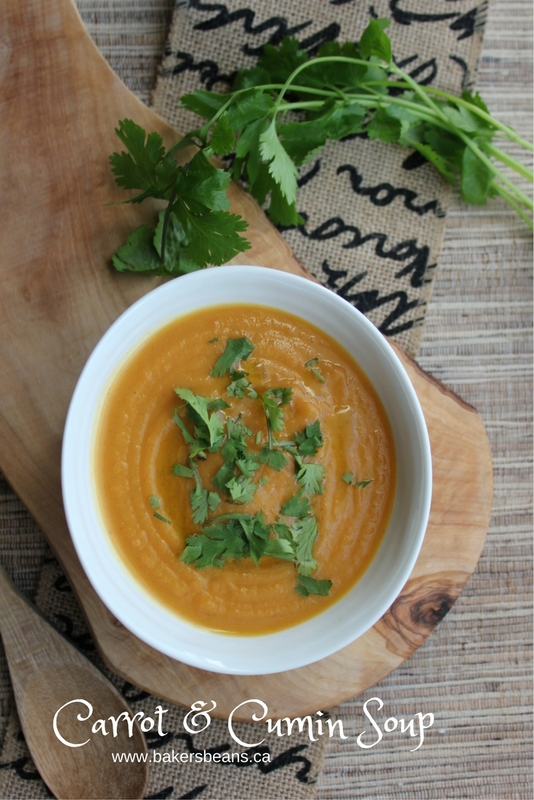 Using an immersion blender or food processor puree your soup. If using food processor puree in small batches. Serve with a sprinkle of chopped cilantro or flat leaf parsley.